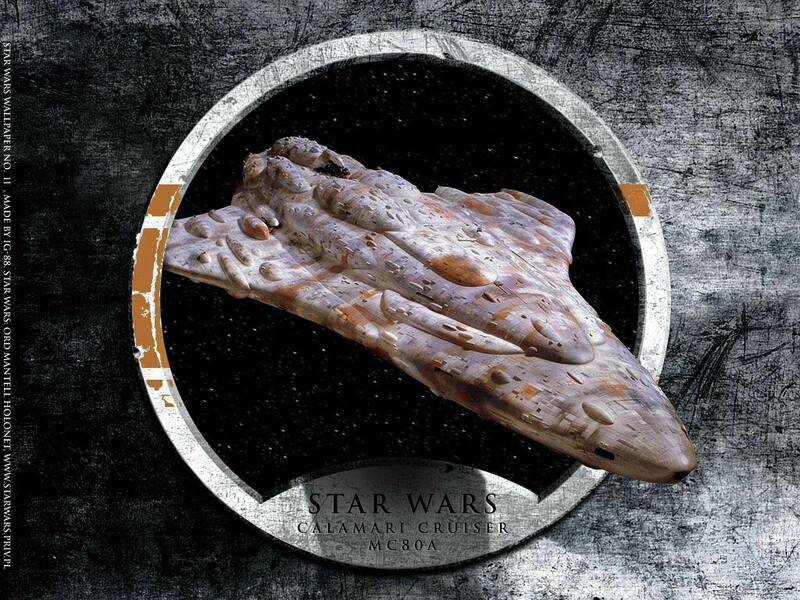 Star Wars Calamari Cruiser. Wallpaper image of the Mon Calamari Star Cruiser from Star Wars Episode VI.. HD Wallpaper and background images in the Star Wars club tagged: star wars starship mon calamari star cruiser episode vi wallpaper image sci-fi war ilm. This Star Wars wallpaper might contain atlantic herring, clupea harengus harengus, barbecue, barbeque, and smelt.